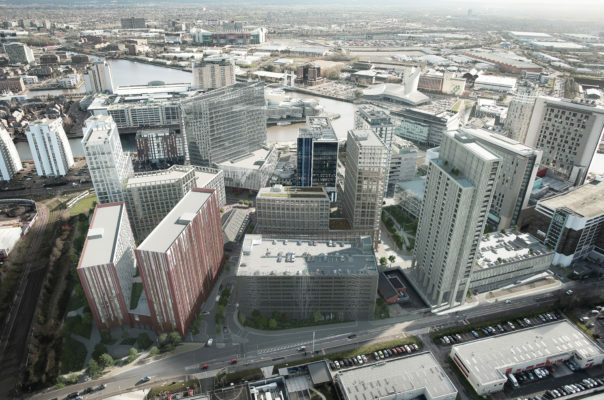 Wirral Waters is a vast £4.5bn regeneration project by Peel Land and Property covering 500 acres on the Wirral Penninsular. A strategic regeneration framework (SRF) identifies 15 different neighborhoods each with a particular role and identity and outline planning permission was granted in 2012. 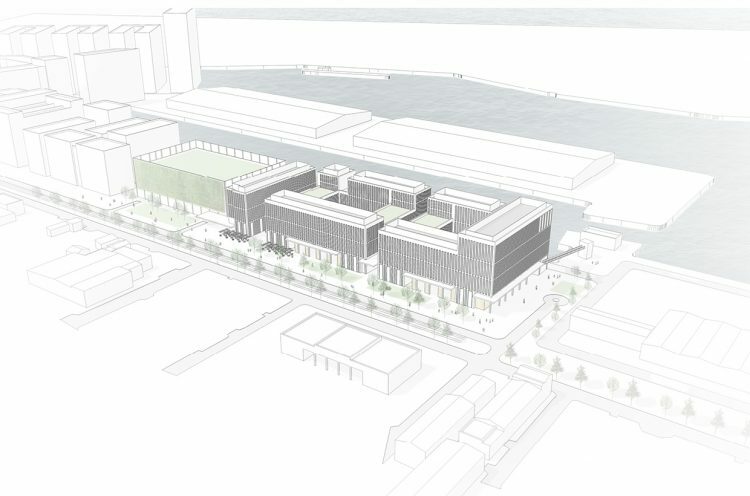 The East Float neighbourhood – itself consisting of four areas, SkyCity, Marina View and Four Bridges, Vittoria Studios and Northbank – will be a mixed use residential, commercial, cultural and leisure destination enclosing three distinct water spaces – Vittoria Pool, Vittoria Dock and The Float. We have designed a detailed scheme for Vittoria Studios East that consists of a number of flexible workspace buildings laid out around courtyards to provide 400,000 sq ft of accommodation. 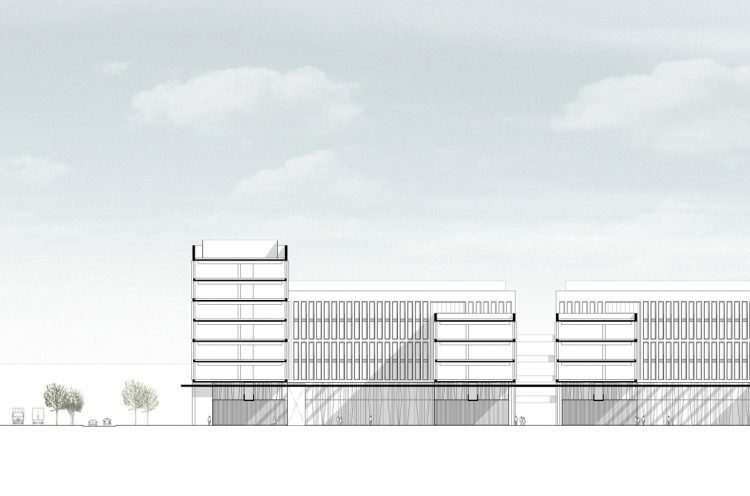 There will also be a multi storey car park. The design references the industrial and post-industrial surroundings and takes maximum advantage of the water front setting. The application will be decided under Reserved Matters by Wirral Council. See full details here.